What is an All Glass Hookah, Anyway? Are you interested in buying a beautiful new all-glass hookah? If so, you should know that there are some attractive and functional styles out there online. 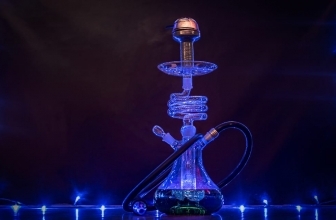 Today, we want to share information about all glass hookahs & shishas and also let you know about five styles which provide shisha fans all over the world with gorgeous looks and superb performance. 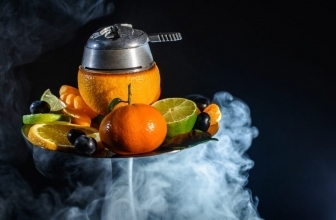 A hookah is a special form of water pipe. It’s used to burn tobacco. 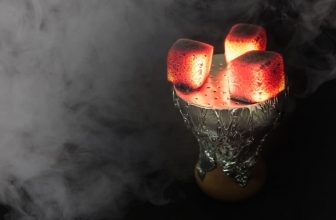 Tobacco is burned in a compact bowl in the hookah unit. The smoke from this tobacco is directed through a water chamber. Then, it moves through a hose made from rubber, towards the mouthpiece. 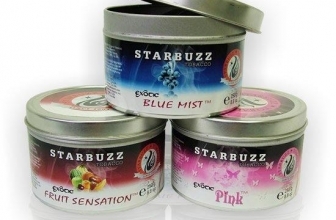 A lot of people prefer smoking shisha (with hookahs) to smoking tobacco conventionally. They like the fact that the water filters in hookahs filter smoke. 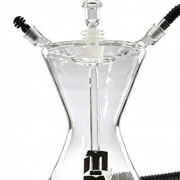 All glass hookahs are modern hookahs that are not following the traditional hookah styles. 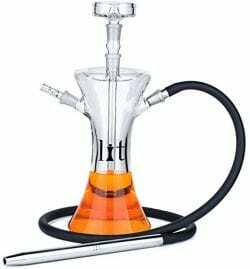 The difference of All glass hookahs with traditional hookahs is that all glass hookahs look nicer and are trendier than the normal hookahs. However, this is just a personal opinion and not all hookah lovers prefer glass hookahs over the traditional hookahs. 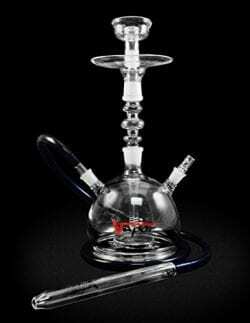 This is one of the best glass hookahs. This high-quality hookah measures fifteen inches and it’s crafted from premium glass. In our opinion, this design does feature an optimal size. Each component in this unit, except for the hose, is crafted from hand-made clear glass which has the perfect level of thickness. 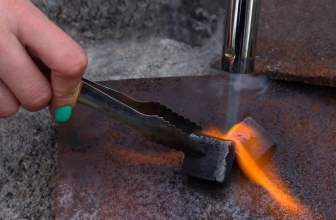 The glass components are sculpted and heated in order to look fantastic and perform beautifully. 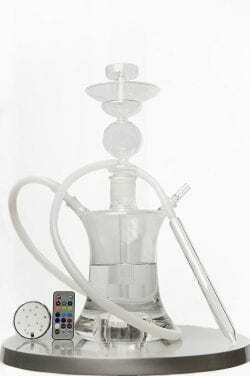 When you order this premium hookah, you’ll receive a glass down stem, a glass body, a glass purge valve which is detachable and a hose made from silicone (which has a handle crafted from aluminum). As well, you’ll receive a box-shaped carry case and convenient tongs for charcoal. If you want to smoke with another person, you’ll be pleased to know that this design may be used with a couple of hoses. This gorgeous Vapor glass hookah has a total height of eighteen inches. It’s taller-than-average, but it’s still very portable. 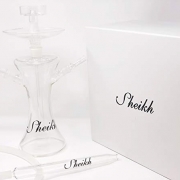 Created by a manufacturer that we know and trust, this pipe for shisha is crafted from transparent glass which is lab-grade and blown by hand. As well, this hookah comes with a hose which is pharmaceutical-grade. The hose is “taste-free”, so you’ll be able to taste tobacco, rather than the hose itself. Also, we love the fact that this glass hookah is so versatile. If you want multi-hose capability, you’ll be able to adapt it easily and then enjoy the two-hose performance. 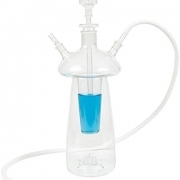 When you order, you’ll be primed to access a carry case with a key-style lock, a glass bowl of the Vortex style, a glass “down tube”, a glass stem, tongs for hookah, a pressure release valve made from glass, a hose crafted from silicone (with a tip made from glass), a hose adapter made from glass (which features auto-seal capability) and full instructions for setup. This hookah has a total height of fourteen inches and it’s lovely to look at. You’ll find that this design is so simple to tote around from place to place, as you’ll receive a high-quality, foam-lined carrying case with your order. The case includes a lock for security. When you choose this all glass hookah from Al Fakher, you’ll get everything that you need, except water and tobacco! You’ll receive a two-glass screen for charcoal, a two-glass bowl stem, a glass down tube, a carry case and a charcoal tray. We recommend this style if you’re on the go and want to take your hookah along for the ride. It’s simple to assemble and take apart, it’s easy to clean and it’s a snap to store this model. It offers a lot of advantages for a fair price. This design from Tianyuan is crafted with care in order to offer exceptional beauty, durability, and performance. It measures fourteen and a half inches and has a width of six inches. Its overall weight is two and a quarter pounds and its hose (made from silicone) measures fifty-nine inches. The hose has an interior diameter of twelve millimeters. When you order this unit, you’ll access all glass components, as well as a silicone hose, a handle, a fitting, a valve, a down stem, a bowl and a base. You’ll also get a convenient carry case. One interesting and unique feature of this model is its LED light. You may turn your hookah any of four different controls, via the remote control, which is included with purchase. 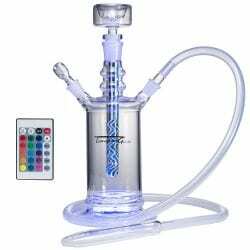 Zebra smoke is a trusted name (That manufactures all glass hookahs) in the shisha industry and its all glass hookah is definitely a product to consider. It’s crafted from heavy-duty glass. 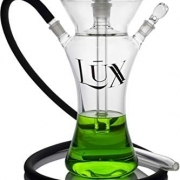 The hookah won’t require rubber or grommets and its fittings are made of glass. 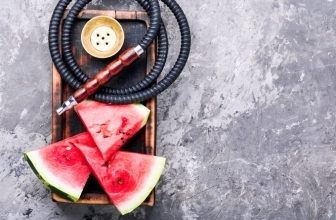 Stylish and very well-made, this affordable hookah is also portable. We think that this style looks amazing and we love how easy it is to clean and maintain. 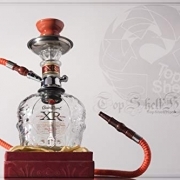 If you want to impress others with a truly exceptional all glass hookah, this style may be perfect for you. It’s got the good looks that you want and it will provide thick and rich water vapor. 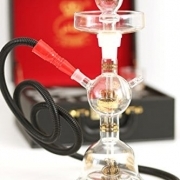 If you are spending time online looking for hookahs then it means that you are not 100% ready for your next purchase. 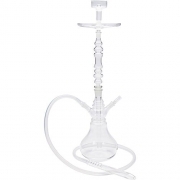 However, we know that you deserve a high-quality glass hookah but at a great price. When you choose one of our best glass hookahs, you’ll get what you deserve. So, why not order a new all-glass hookah today?